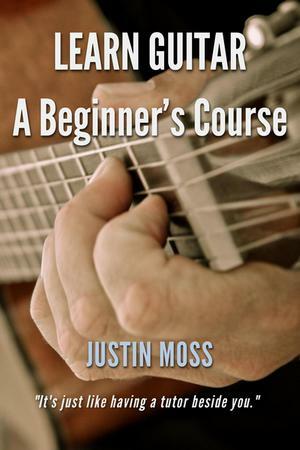 The LEARN GUITAR series books have accompanying video lessons. 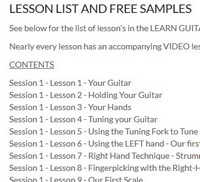 Once you have purchased access to the video lessons you should have been emailed a username and password. Login to the SITE using the LOGIN button on the TOP menu/toolbar, and the video files are then accessible. 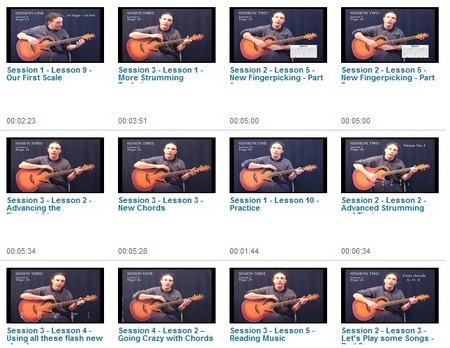 The video lessons are then shown as thumbnails like the example below. 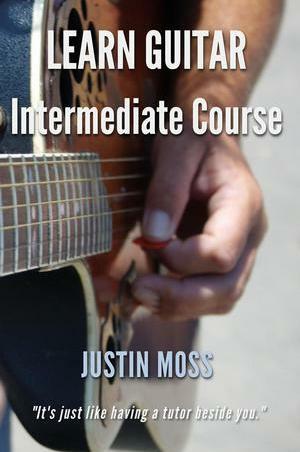 If you have already logged in, please CLICK HERE to access the resouces.